Here’s a writing style issue that I’ve seen rather frequently lately, both while editing and while out in the wilds of the real world. And although some would argue it isn’t a rule and therefore isn’t required, I speak on behalf of all readers when I say that following this suggestion makes your writing immeasurably easier to read. It’s the idea of parallel structure (also referred to as parallel construction or parallelism). It’s a lovely term to toss around because it sounds brainy, but it’s really pretty simple to understand, once you see an example. Do you see the problem? It’s actually fairly easy to miss, because our brains usually fix it subconsciously, like when we read transposed letters as if they weren’t transposed. Here Marriott has listed three things, but they don’t exactly all go together, at least not the way the line was written. The rule of parallel structure is that all items in a list or series need to be written in the same grammatical form. But don’t worry, you don’t necessarily have to be able to identify grammatical forms. You can usually tell if the items are in the same form if they each work with the same word or phrase to which they’re attached. Looking at Marriott’s line, the items in the list are the words go, see, and do, and happily for us, a test phrase is provided: more of what you love. But do each of the items — go, see, and do — work with more of what you love? That is the test. So, let’s see: Do more of what you love. That works. See more of what you love. That also works. But Go more of what you love . . . definitely does not work. So although it might seem like the three terms are parallel, one of these things is actually not like the other. That’s faulty parallel structure. Just leave the wrong word off the list: Do and see more of what you love. Go could also be combined with see, as in Go to see and do more of what you love. Here’s how that works with the test: Do more of what you love. That works, as we already saw. Go to see more of what you love, using the revised item, also works. Go! See and do more of what you love! works because it takes go out of the list and puts it in a separate sentence. Whether or not those suggestions work as well from an advertising standpoint is outside of my wheelhouse, and of course ad campaigns aren’t exactly renowned for their perfect sentence structure, but I thank Marriott and David Pogue for supplying the excellent example. 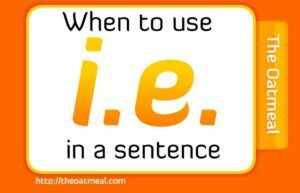 Always confirm that each element of a list within a sentence or group of sentences is in the same form. Better yet, make sure that you have a professional copy editor review your work before you publish it. If you don’t, you may end up with someone from CBS Sunday Morning posting your error on Twitter. No one wants that. Bloggers, this one’s for you, though I know of a few book authors who could use the reminder. While a happy splash of dashes may seem to help illuminate your text and maybe even add some action to it, the unintended result is usually a distraction and disruption to the reader. According to the Associated Press Stylebook— Slate’s bible for all things punctuation- and grammar-related—there are two main prose uses—the abrupt change and the series within a phrase—for the em dash. 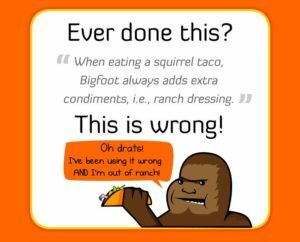 The guide does not explicitly say that writers can use the dash in lieu of properly crafting sentences, or instead of a comma or a parenthetical or a colon—and yet in practical usage, we do. A lot—or so I have observed lately. America’s finest prose—in blogs, magazines, newspapers, or novels—is littered with so many dashes among the dots it’s as if the language is signaling distress in Morse code. What’s the matter with an em dash or two, you ask?—or so I like to imagine. What’s not to like about a sentence that explores in full all the punctuational options—sometimes a dash, sometimes an ellipsis, sometimes a nice semicolon at just the right moment—in order to seem more complex and syntactically interesting, to reach its full potential? Doesn’t a dash—if done right—let the writer maintain an elegant, sinewy flow to her sentences? Read the entire article to get the full effect; it certainly has helped drive the point home to me. Like it has been for the article’s author, the dash has been my “embarrassing best friend,” so believe me, I have felt the pain of having the crutch of the dash taken out of my needy and desperately clutching hands. But you can do this! Give it a try!